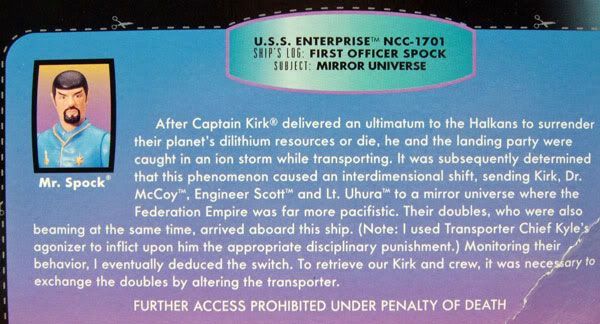 Mirror Spock was released by Playmates on their Warp Factor Series card. 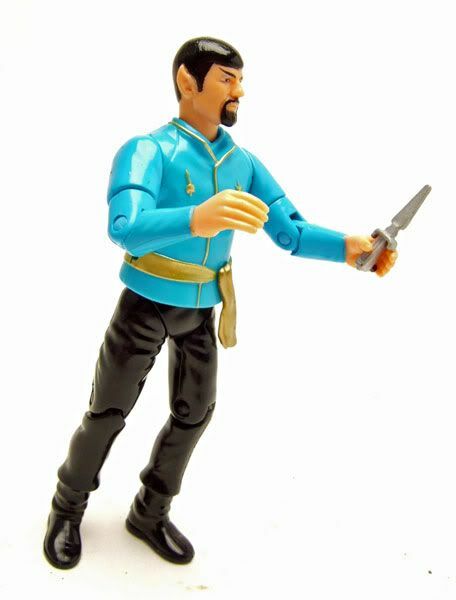 Mirror Spock has your standard Playmates-style articulation, unlike some of the other Warp Factor Series figures which sacrificed articulation for more 'dynamic' poses. I for one am glad to have him like this instead of as a less-articulated, pre-posed version. The detailing on the shirt is pretty nice. Playmates did a good job of capturing the medals and the sash. There's also a little post to plug his knife into. 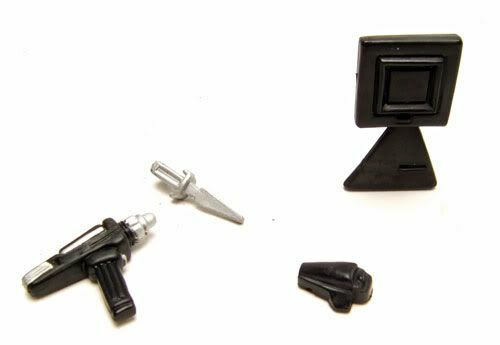 Pretty good job on this part of the figure. Here's where the nitpicks start- I find the head sculpt a little off. This is one time where I wish that Playmates would have done some re-use instead of sculpting something new. 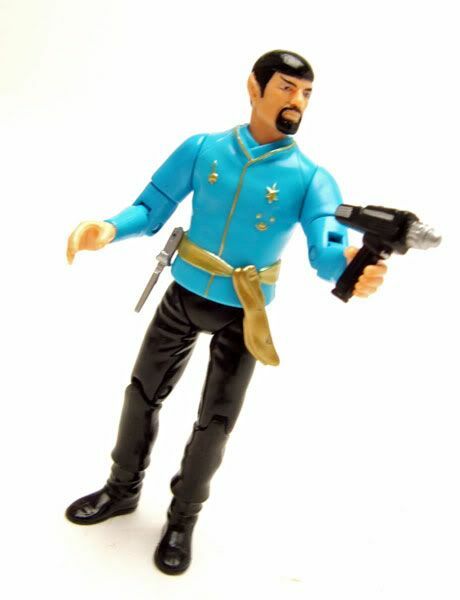 The standard Playmates Spock head is really great in my opinion and looks very much like Nimoy. 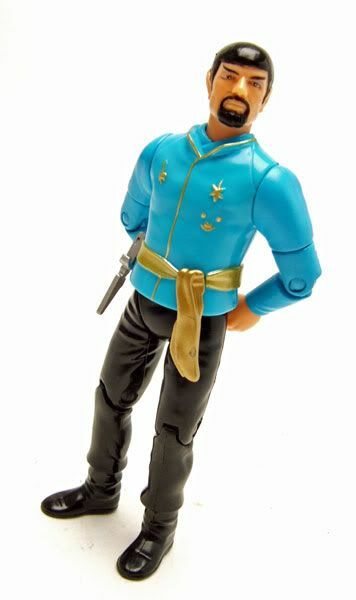 Had they just taken that head and added the beard I think this figure would have looked much better. 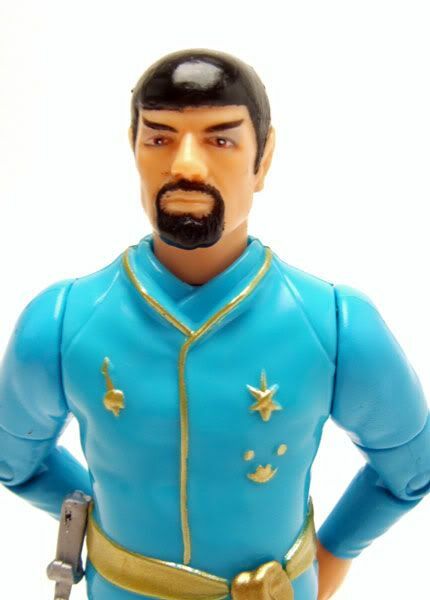 Instead, they sculpted an all new head that doesn't look nearly as accurate. 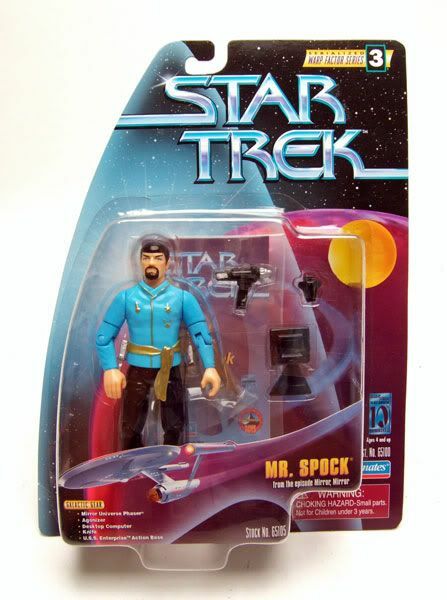 It's not a terrible head by any means, but it does look a little more like Nimoy's stunt double than I'd like. 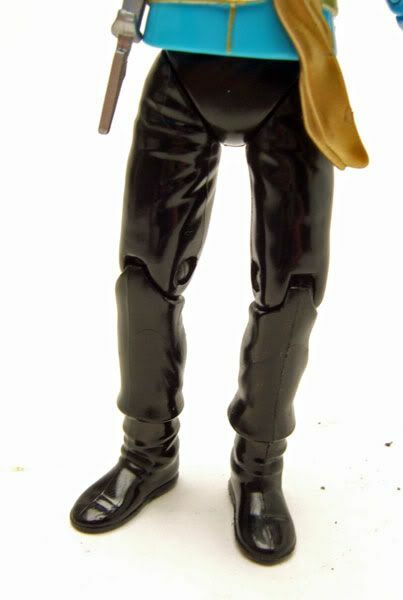 Seriously...is it too much to ask for a company to get the mirror universe boots right!?! 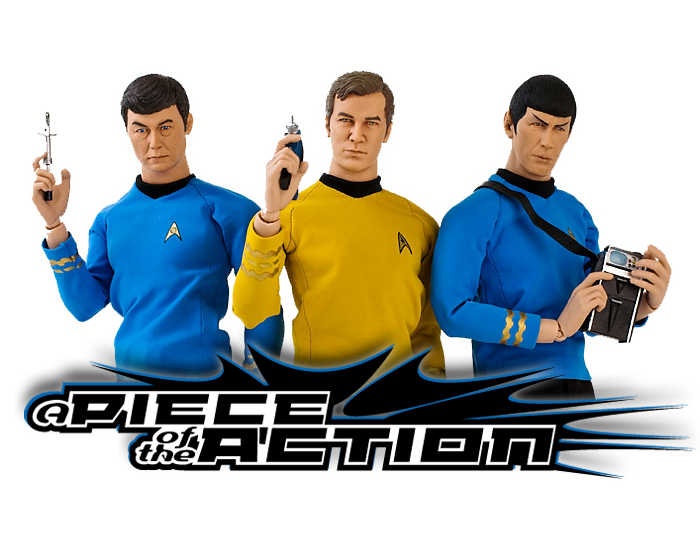 AA screws them up on their Mirror Scotty, Playmates is all over the place on their 9" style figures- We get one 4.5" style Mirror figure....and the boots are wrong. Bummer. 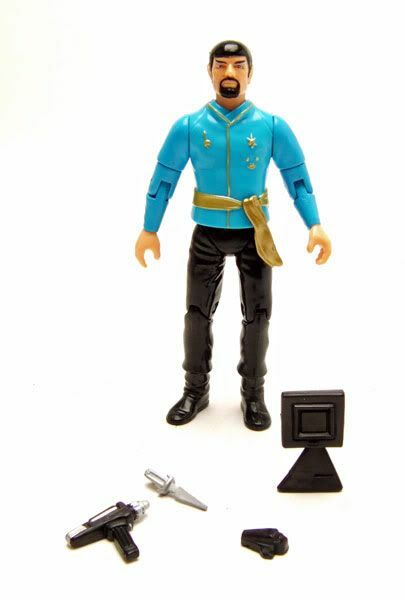 Accessories: Mirror Spock comes with a display base (not pictured), an agonizer, a desktop computer, a phaser, and a dagger that clips to his belt.